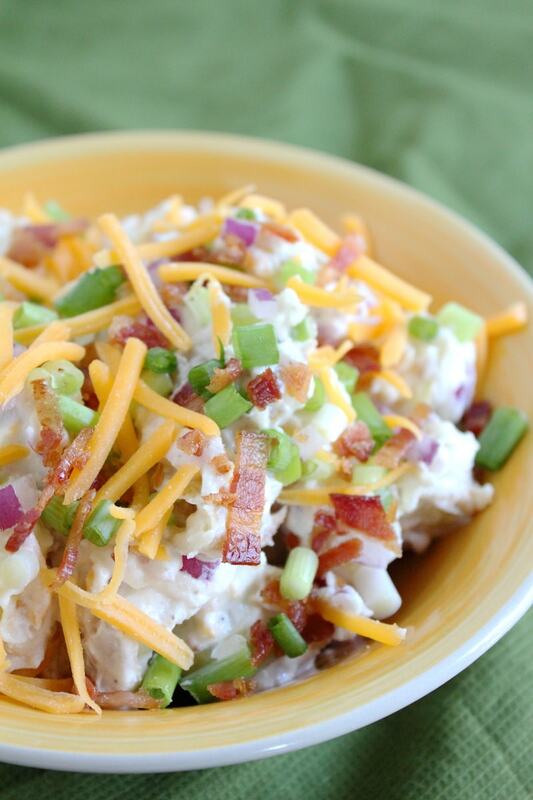 This Loaded Baked Potato Salad recipe is a great dish to bring to a BBQ or to MAKE for when you have guests coming over for a party. It uses cheddar cheese and bacon and mayonnaise. So, listen. I’m not saying this a low-fat option. If you are looking for a diet-friendly recipe, you need to keep clicking around. If you are looking for rich and creamy – girl you found me! 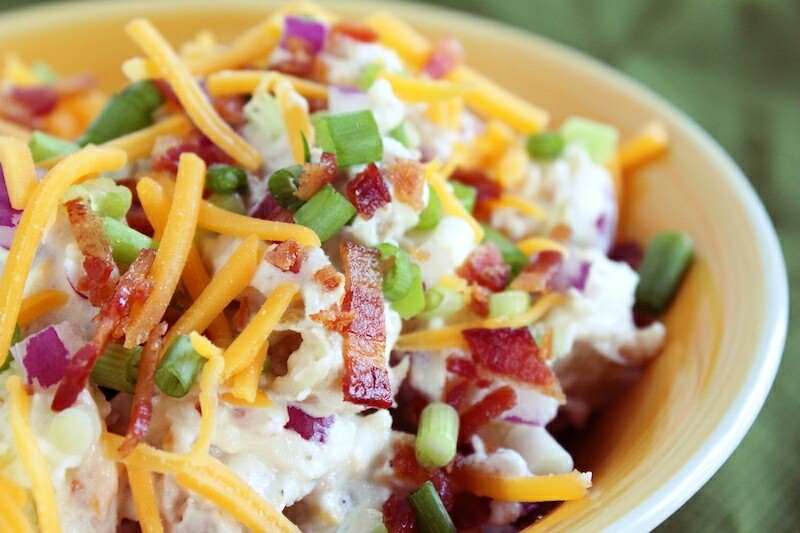 This Loaded Baked Potato Salad Recipe is on FIRE. Not hot – but delicious. You are going to be SO ready for BBQ season, I promise. 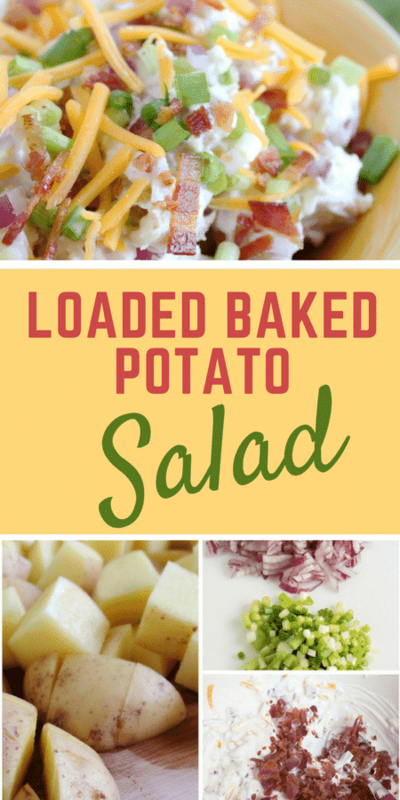 Remember, it’s a spin on the classic hearty side we all know and love. 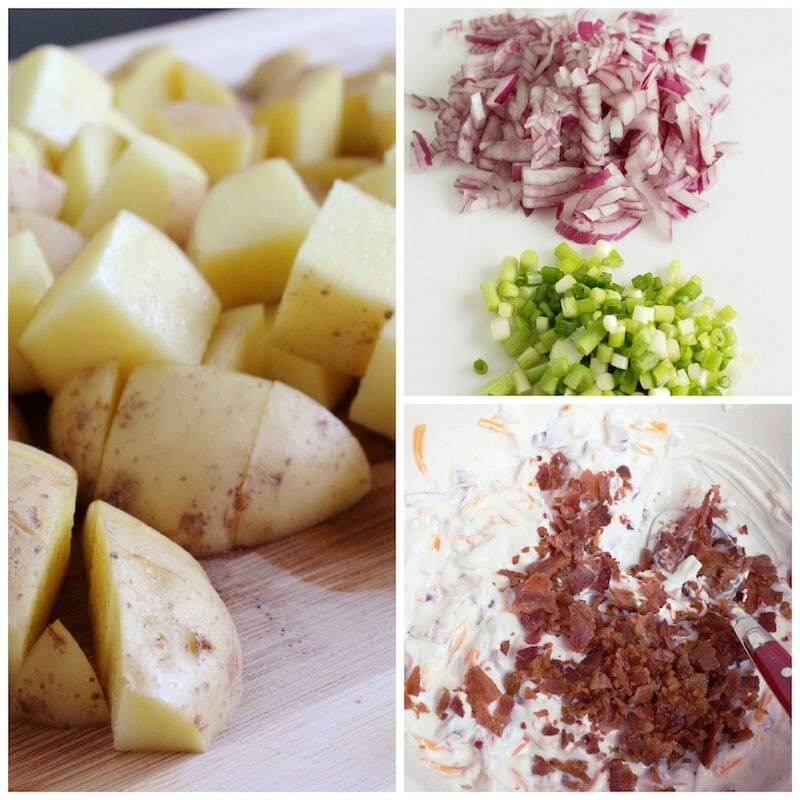 Cut the Potatoes into ½ inch cubes, boil until tender, 8-10 minutes. Drain and rinse with cool water to stop the cooking process. Add the Potatoes to the mixture and stir until the Potatoes are evenly coated. Add Salt and Pepper to taste. 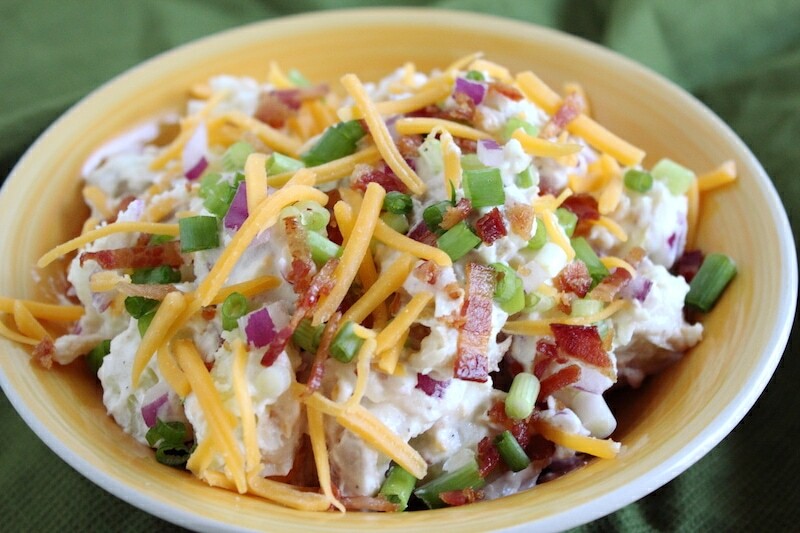 Sprinkle the Green Onion and remaining Cheese and Bacon on top of the potato salad. What to do you think of the side salad dish? Something you’d like to share with friends and family during the summer? Looking for more options to put out while hosting?